Columns & Coffee is a monthly social sketching excursion led by the L'Enfants, the emerging architects branch of the Institute of Classical Architecture & Art, Washington Mid Atlantic Chapter. Anyone with an interest in sketching and/or connecting with other artists and architects is encouraged to attend. 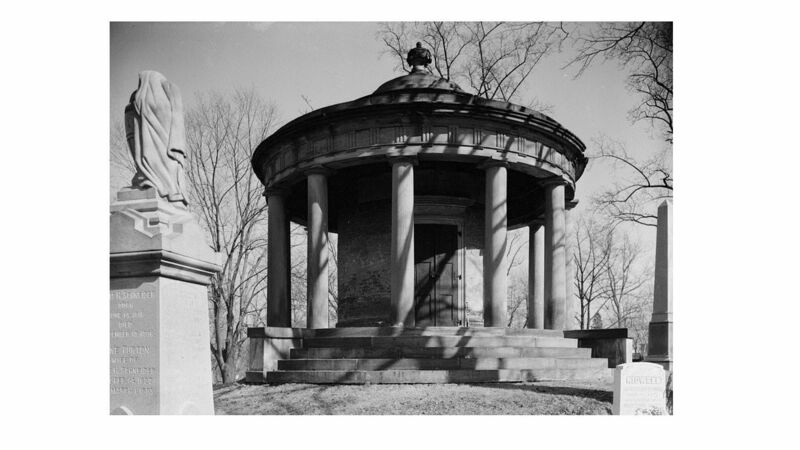 This month, the group will be sketching at the historic Oak Hill Cemetery in Georgetown. Founded by William Corcoran and completed in 1853, this garden cemetery features an Italianate gatehouse, classically-inspired mausolea, and a chapel designed by James Renwick. Among its notable “residents” are architects Adolf Cluss (Eastern Market, Smithsonian Arts & Industries Building) and Paul Pelz (Library of Congress). Participants should be prepared to bring their own materials. The group will meet at the Bean Counter at 1665 Wisconsin Ave NW at 10:30am. The group will be sketching for about 2.5-3 hours, but people are welcome to come and go as they please. IMPORTANT NOTE: This event starts half an hour later that normal.